Old North Bridge, Concord, Mass. 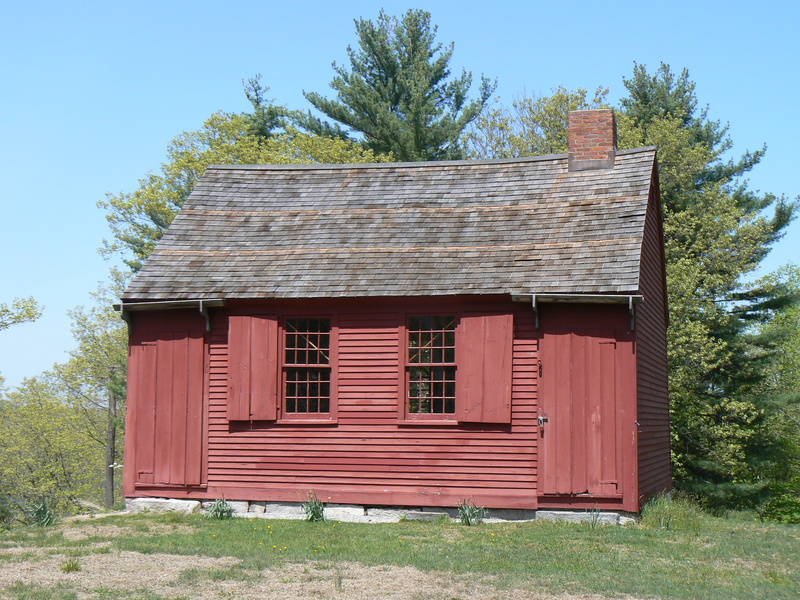 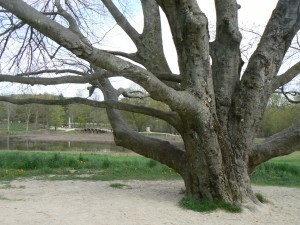 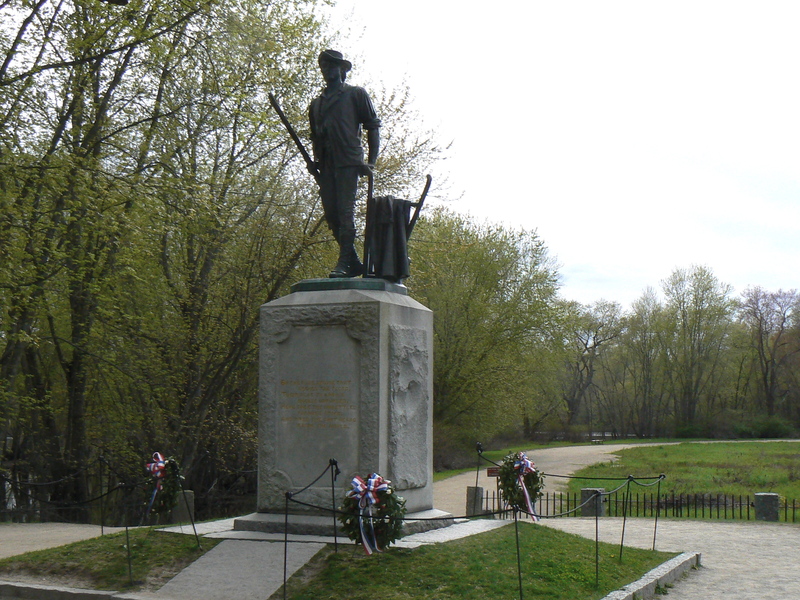 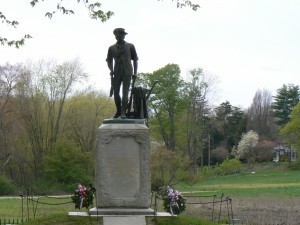 The troops, nicknamed “minutemen,” repulsed British troops that had marched from Boston to Concord to search for weapons and ammunition being stored at a Concord farm. 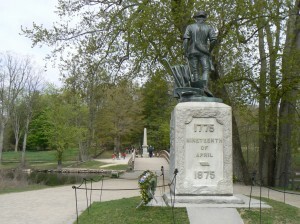 The west, or “American” side of the bridge features the Minute Man, a famous statue created by sculptor Daniel Chester French. 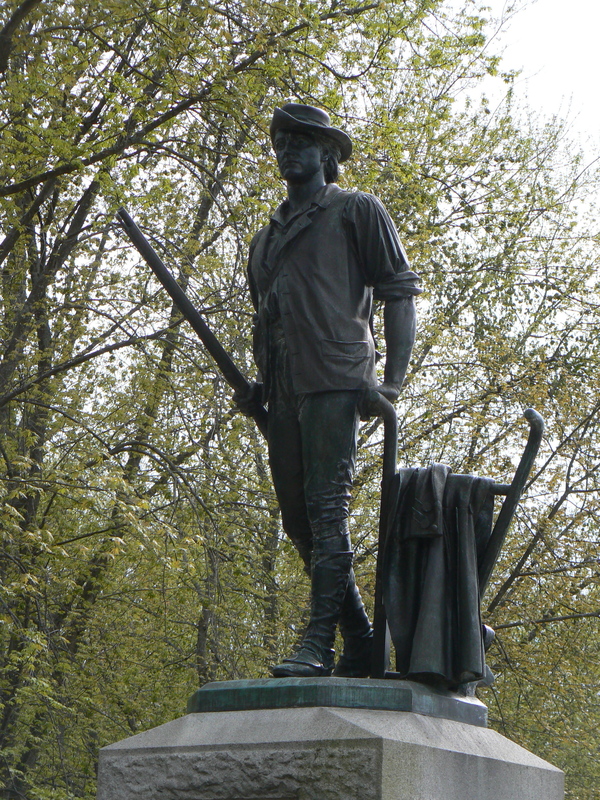 The statue depicts a farmer who is walking away from his plow, rifle in hand, to fight for what would become a new nation. 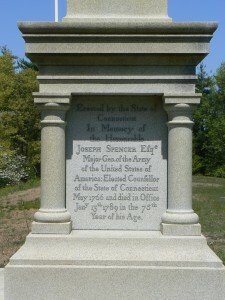 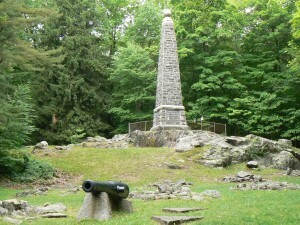 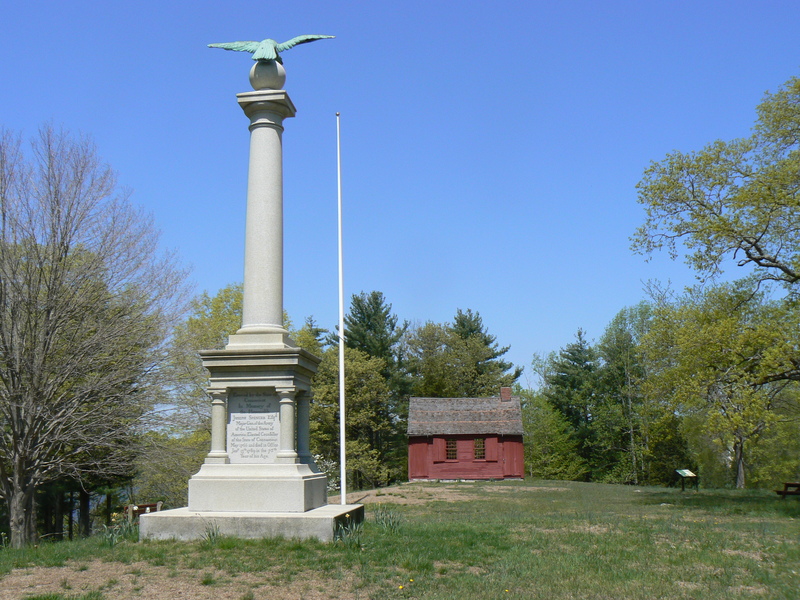 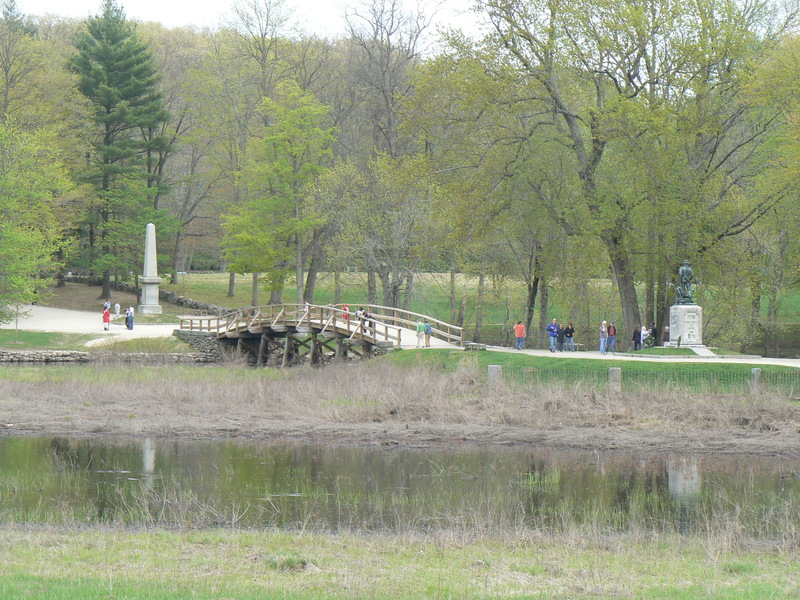 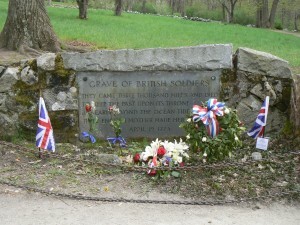 As you face the 1836 monument, to your left is a gravesite for two British troops killed in the skirmish (a third was buried in Concord Center). 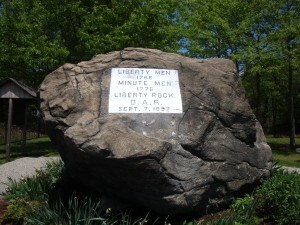 The Minute Man was the first major monument for French, who would later sculpt the statue of Abraham Lincoln in Washington’s Lincoln Memorial. 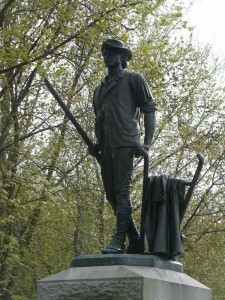 The Minute Man image serves as the logo for the U.S. National Guard, appears on savings bonds, and was on the back of the 2000 quarter honoring Massachusetts. 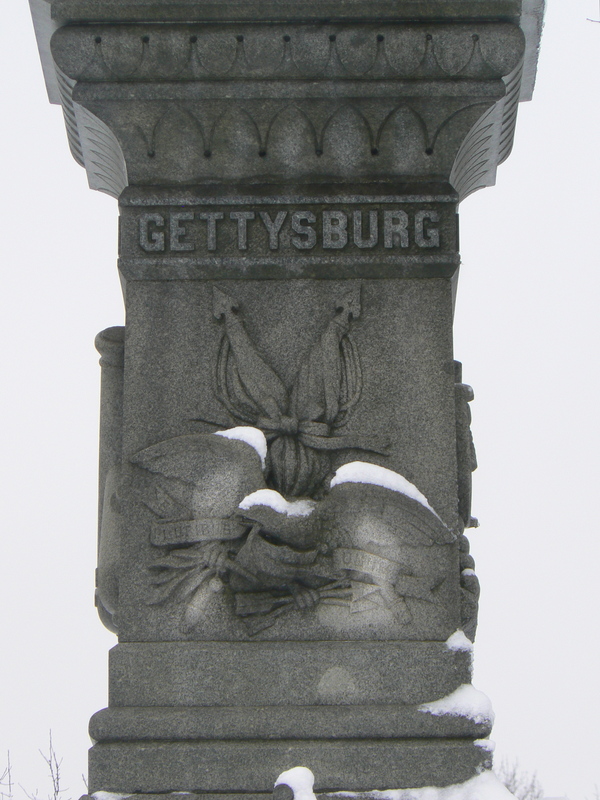 The statue was cast from former Civil War cannons (which was common for monuments created in that era). 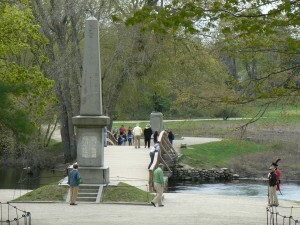 Today’s version of Old North Bridge, which stands over the Concord River, was built in 1956 and restored in 2005. The bridge is the fifth to stand on that location, which is vulnerable to flooding that has claimed several bridges over the years. About a quarter-mile away from the bridge, a former homestead has been converted into the North Bridge Visitor’s Center. 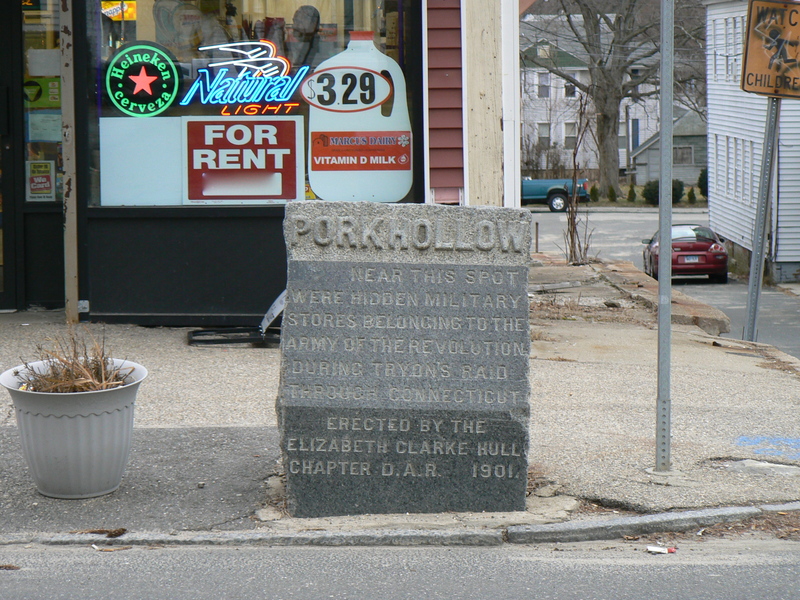 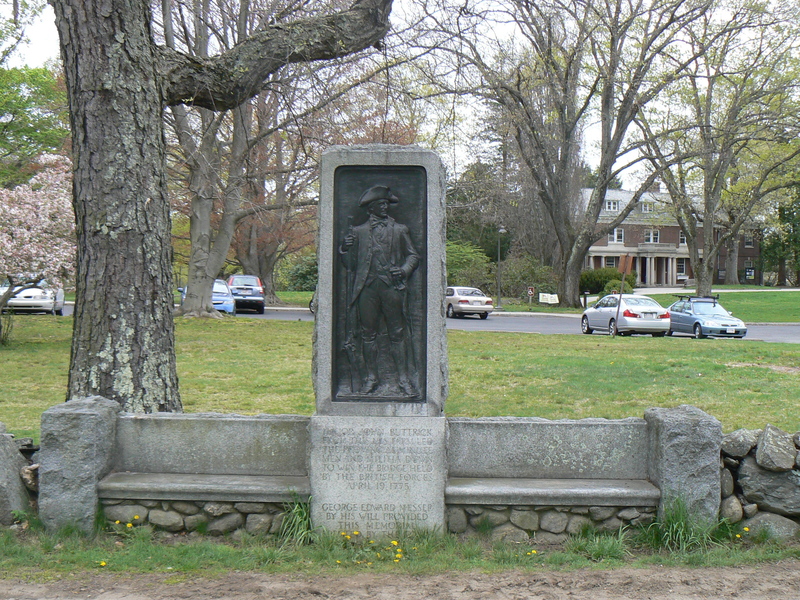 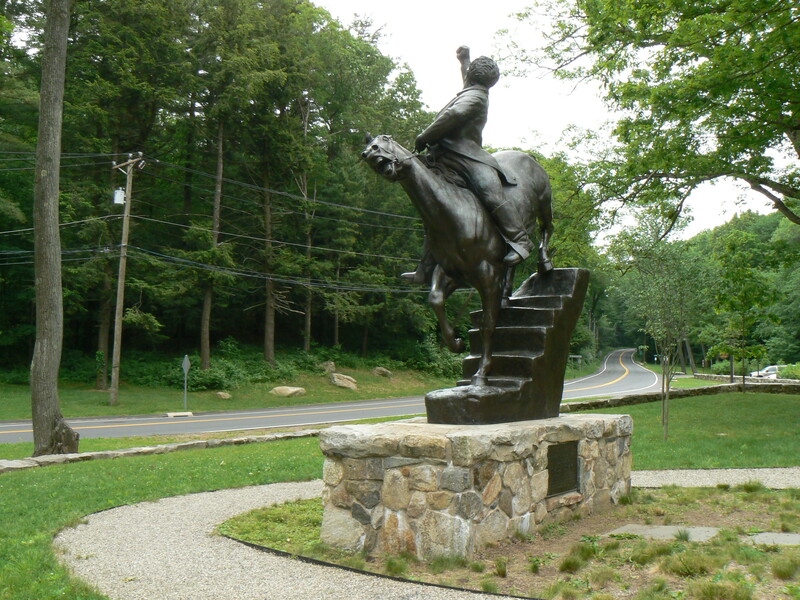 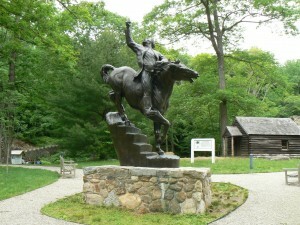 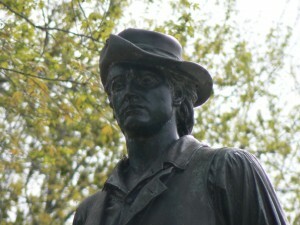 In front of the center, a monument honors Major John Buttrick, a local farmer and militia leader who led the minutemen down the hillside toward North Bridge. 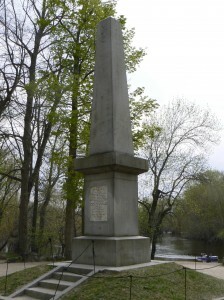 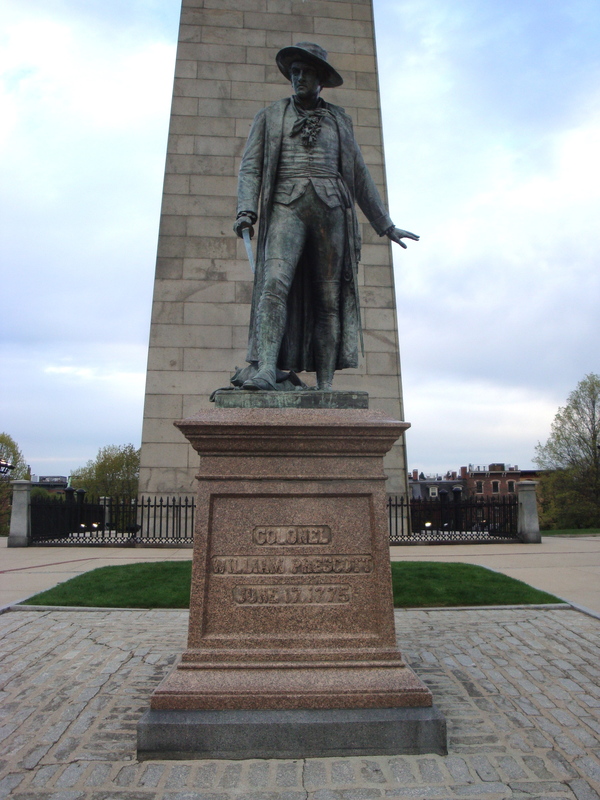 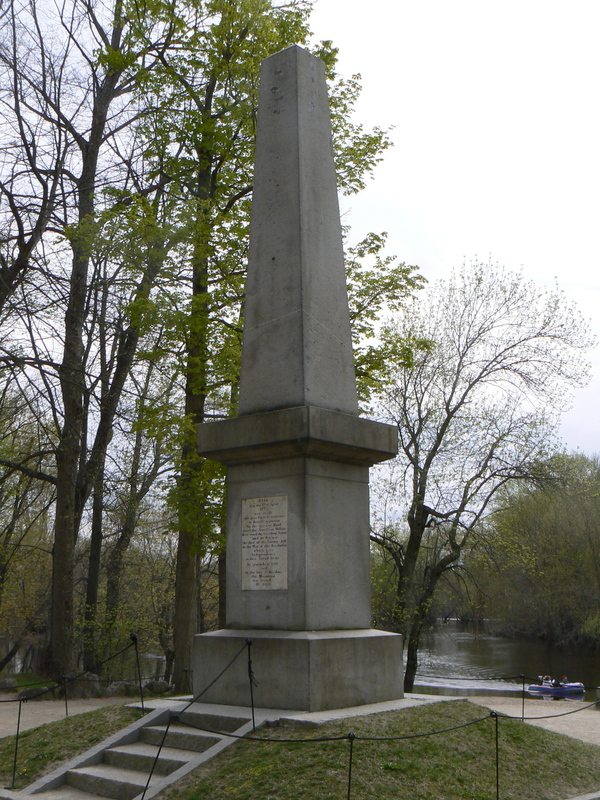 The first major battle of the American Revolution is commemorated with a large granite obelisk in the Charlestown section of Boston. 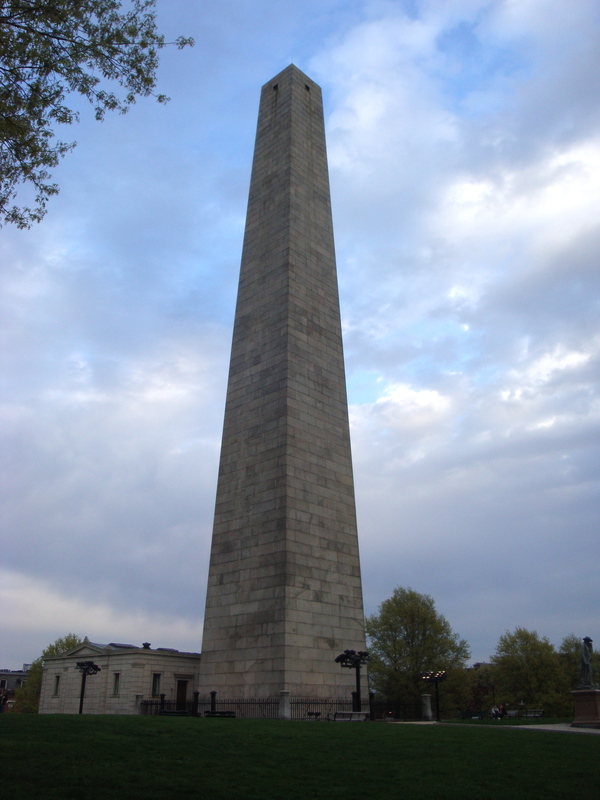 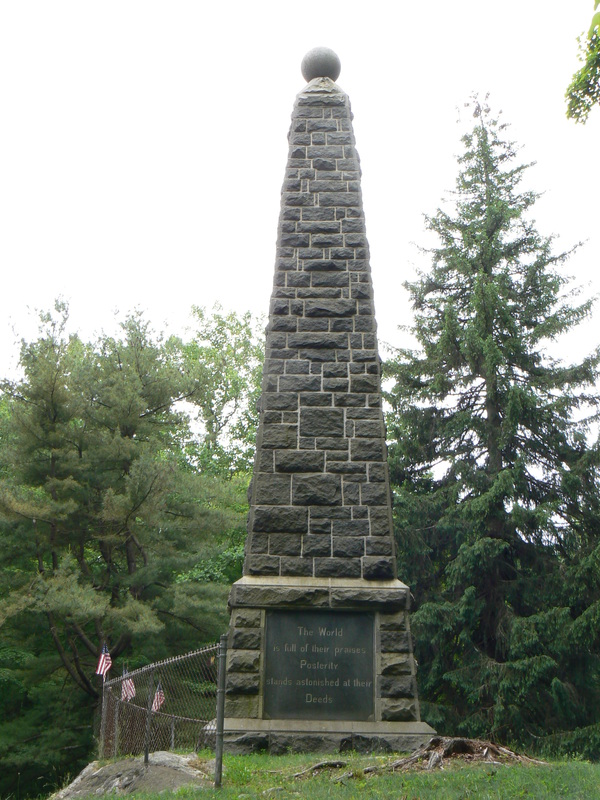 The 221-foot obelisk was dedicated in 1843 to honor the Battle of Bunker Hill, which was fought on June 17, 1775, on Breed’s Hill (more about the hills later). Inside the monument, 294 steps lead to observation windows just below the monument’s peak. 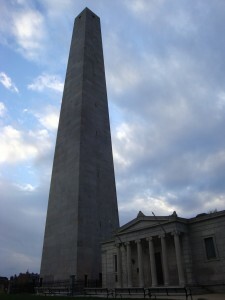 The monument was closed at the time of our visit, sparing us the decision about whether to attempt the climb. The battle was the first major engagement for Continental troops, who were defending a hastily constructed fort against British forces. 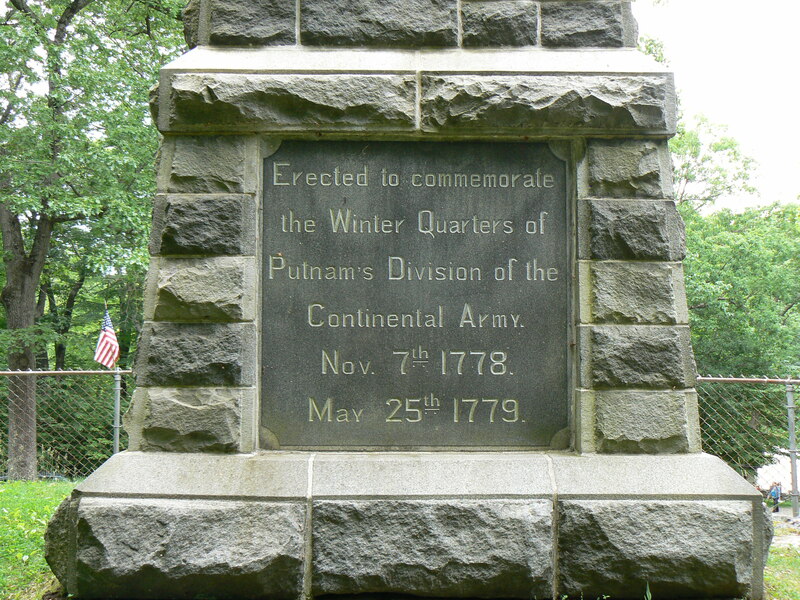 The Continental troops repelled the attackers twice before an ammunition shortage prompted their retreat. 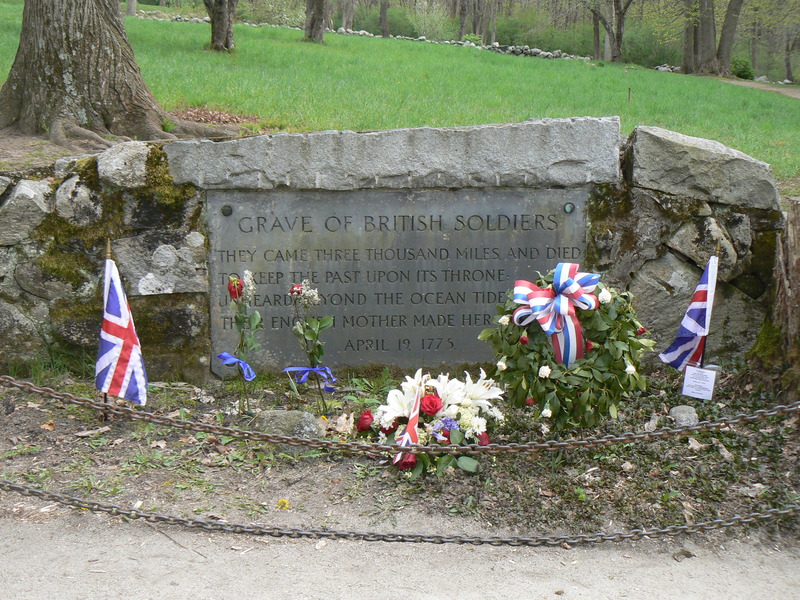 Although the Continental forces lost the battle, their strong showing and the large number of British casualties (nearly half of the 2,200 troops) demonstrated the viability of the Continental troops and provided a strong moral victory. 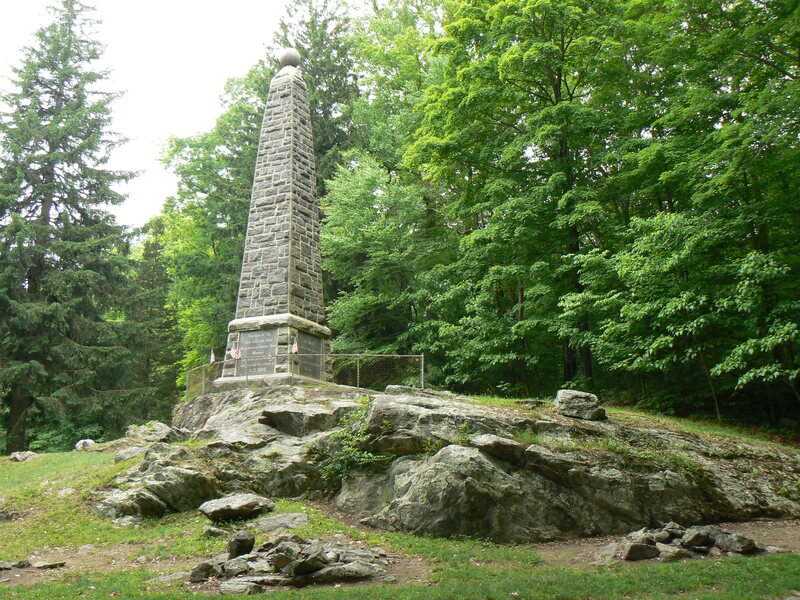 The granite building at the monument’s east base was completed in 1903 to display battlefield artifacts. 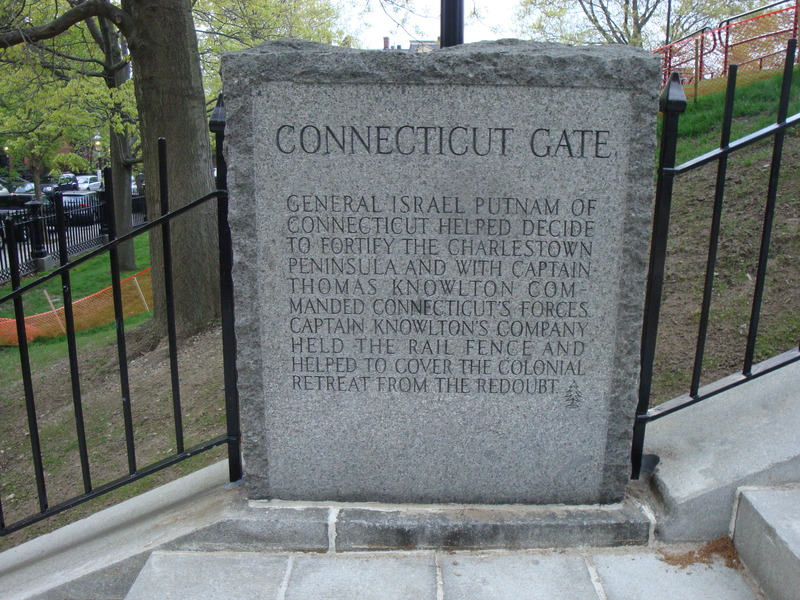 Four gateways leading to the monument site have been named after nearby states, and feature granite markers honoring a local hero. The stairways are being refurbished with federal stimulus money. 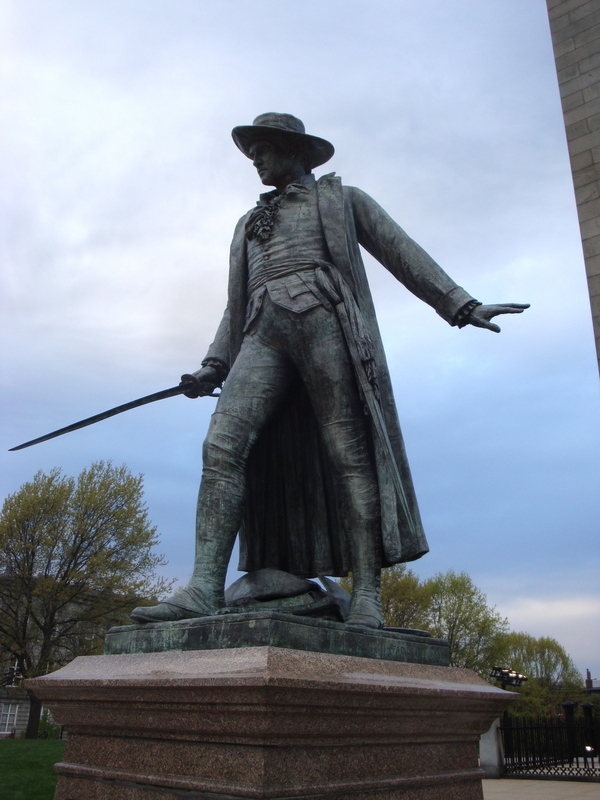 The Prescott statue was created by sculptor William Wetmore Story, a Boston native who gave up a promising law career to pursue sculpture. 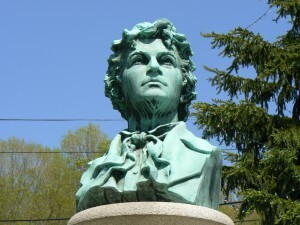 A number of his classical female figures are displayed in U.S. museums. 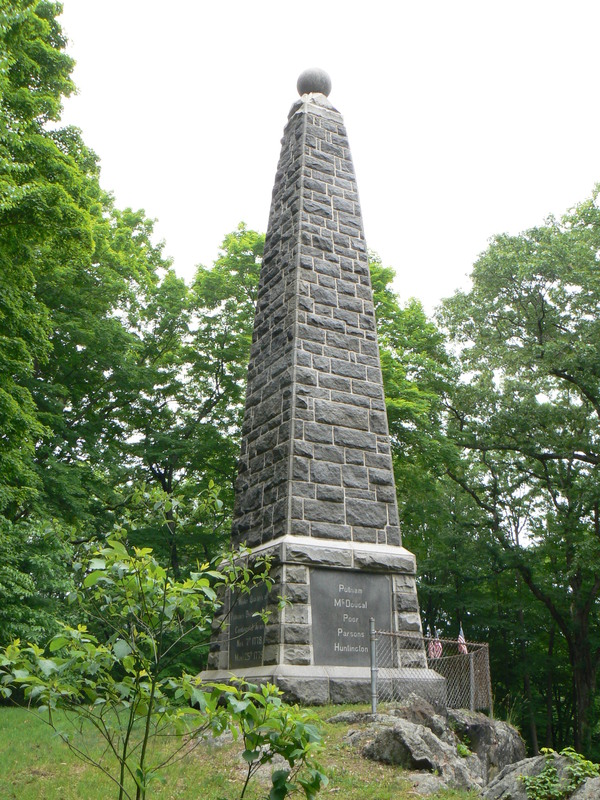 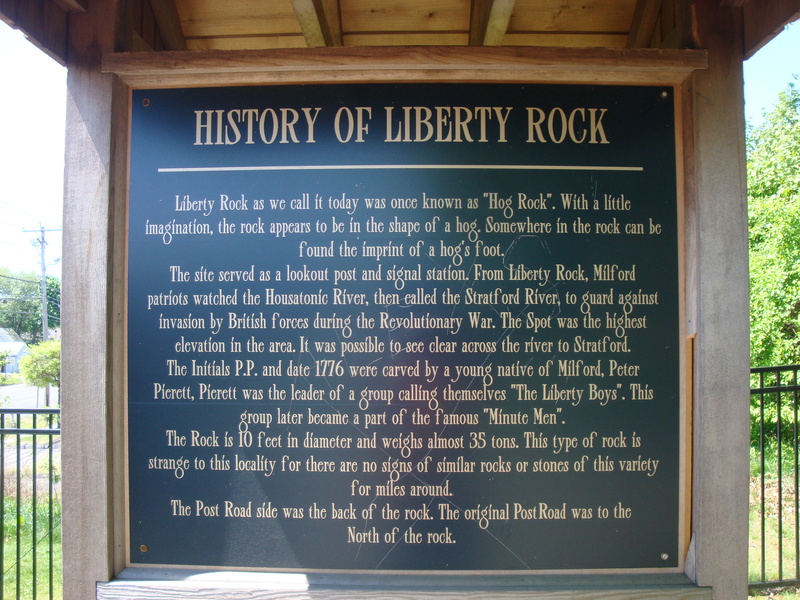 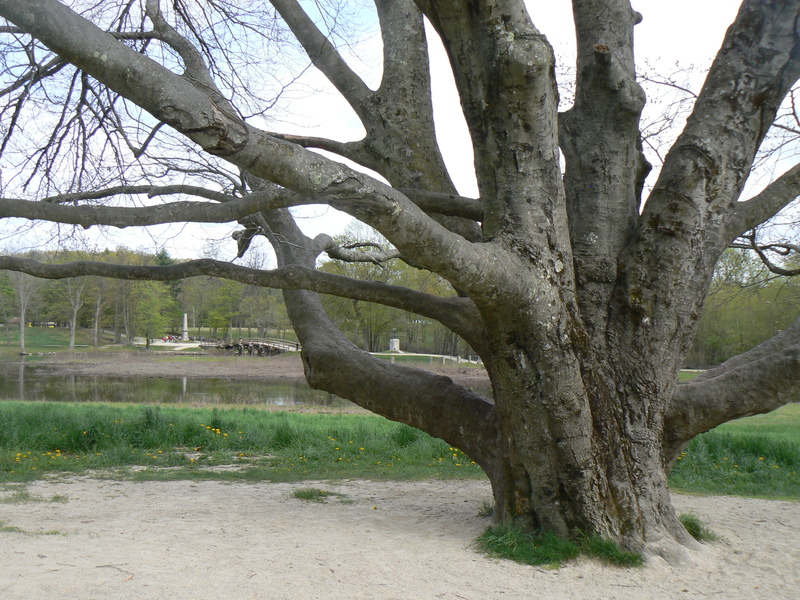 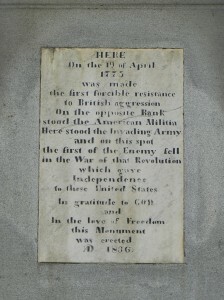 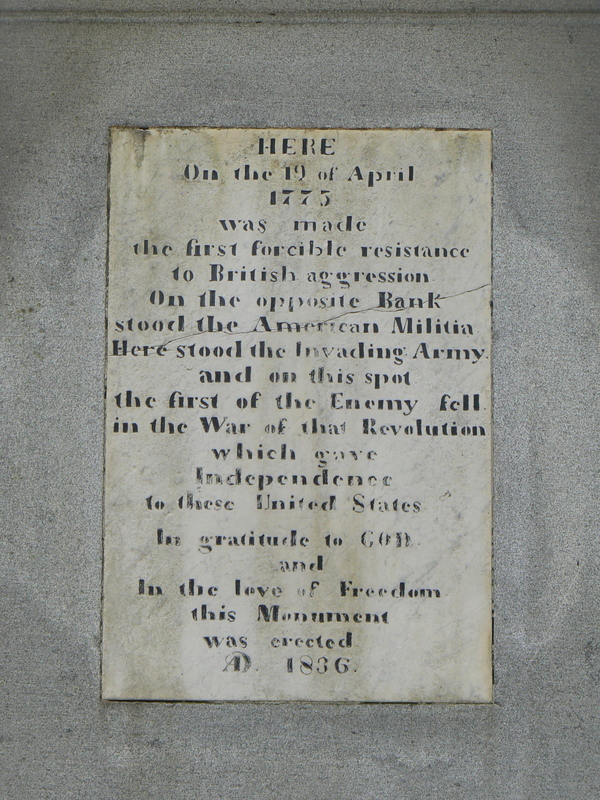 Efforts to honor the battle began with a wooden monument erected in 1794 by local Masons to honor Dr. Joseph Warren, who was killed during the battle. 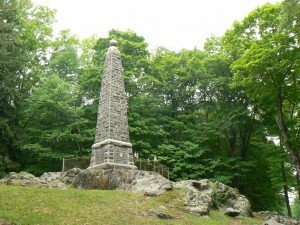 A movement began to erect a more prominent monument, and the obelisk’s cornerstone was laid in 1825 during ceremonies marking the battle’s 50th anniversary. 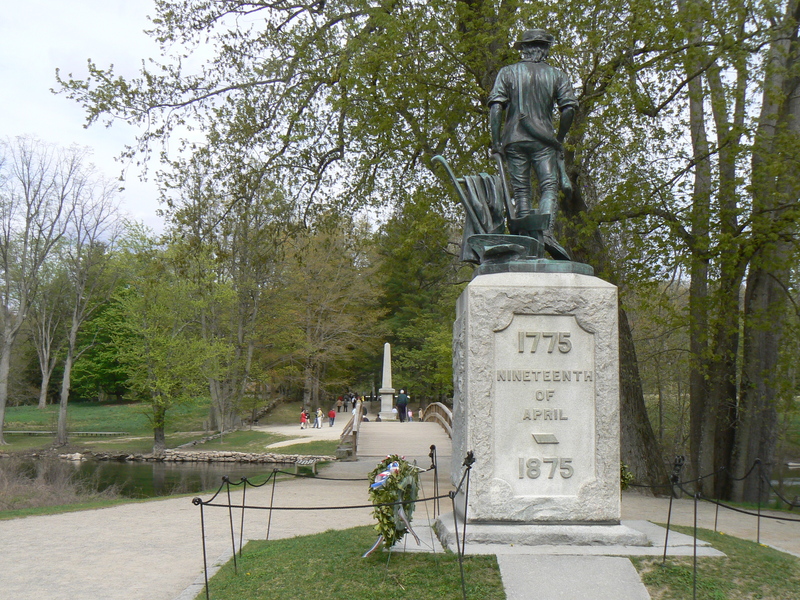 Funding challenges stalled construction over the years, and the committee raised funds for the monument by selling a good chunk of the battlefield for real estate development. 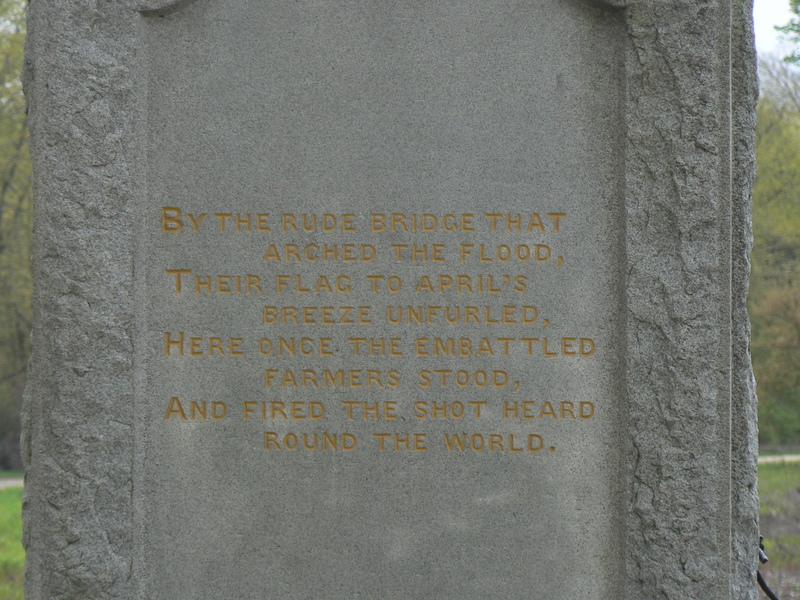 Confusion about the battle’s name and location started before the first shot had been fired. 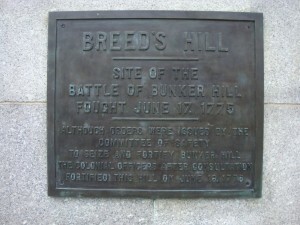 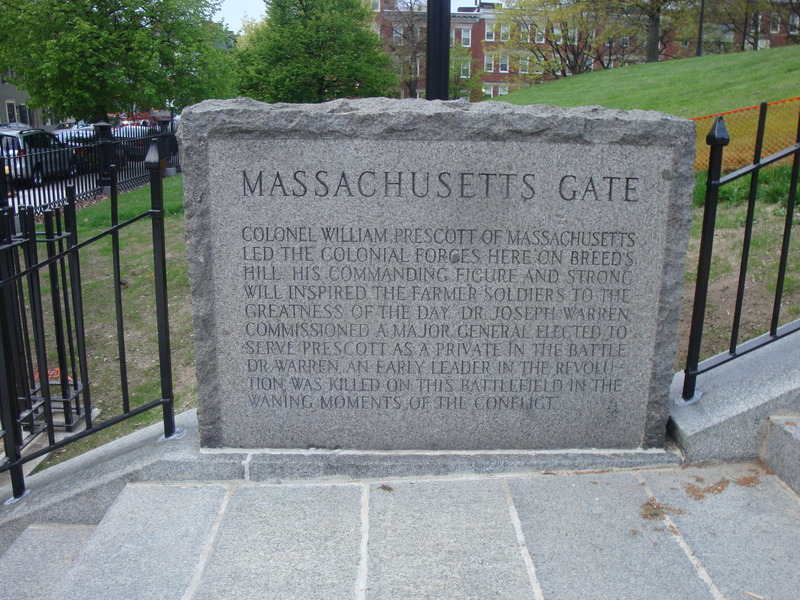 Prescott had been ordered to fortify nearby Bunker Hill, but the Continental commanders decided Breed’s Hill would be more suitable. 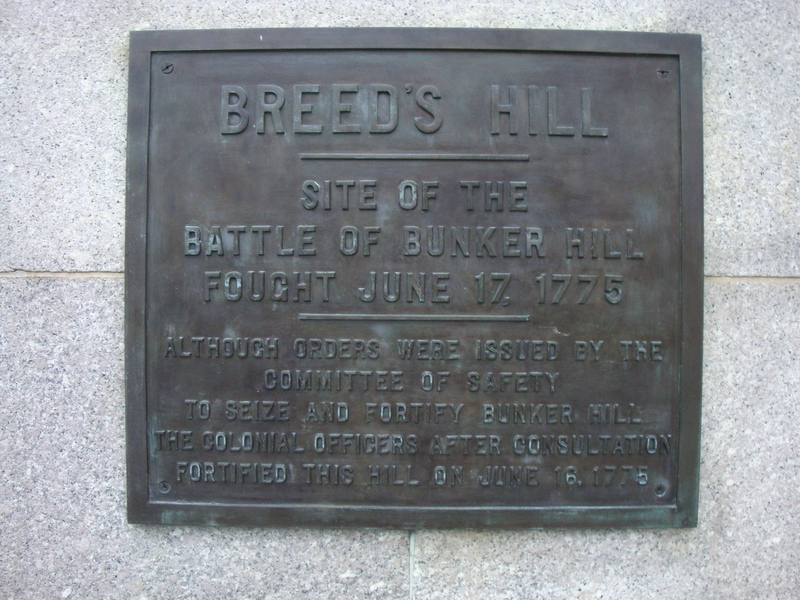 A British cartographer mapping the battlefield reversed the names of the two hills, and Breed’s Hill was consigned to the historical shadow of its more famous neighbor. The Bunker Hill site was administered by a private association until it was turned over the Commonwealth of Massachusetts in 1919. 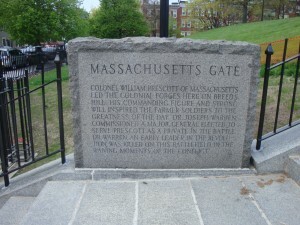 In 1976, the site was transferred to the National Park Service and added to Boston’s Freedom Trail. 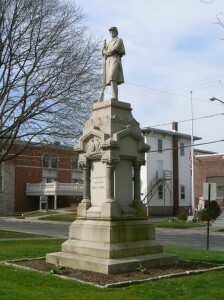 Southington’s Civil War veterans are honored with an 1880 monument in the center of the town green. 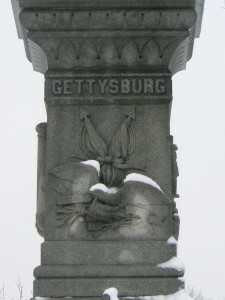 The east face also features an intricate carving of the Connecticut and United States shields and a raised ribbon with the state motto. 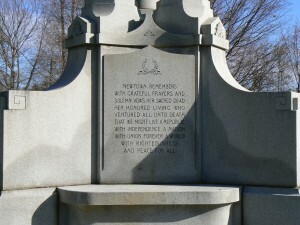 The monument’s other faces do not bear any inscriptions. 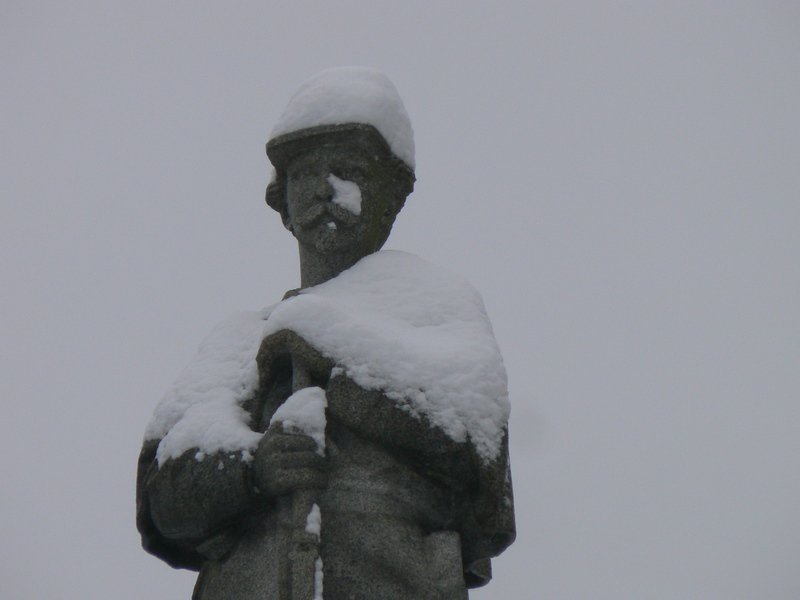 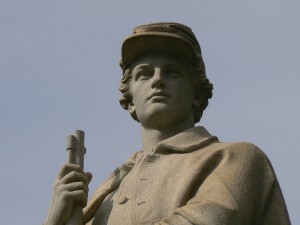 While the monument has comparatively little lettering, it has a number of decorative elements not commonly seen on Civil War monuments, such as the four blue granite columns at each corner and the ornamental gables just below the soldier’s feet. 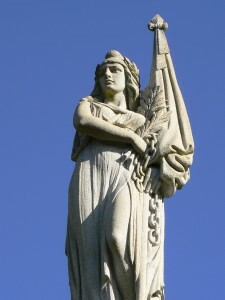 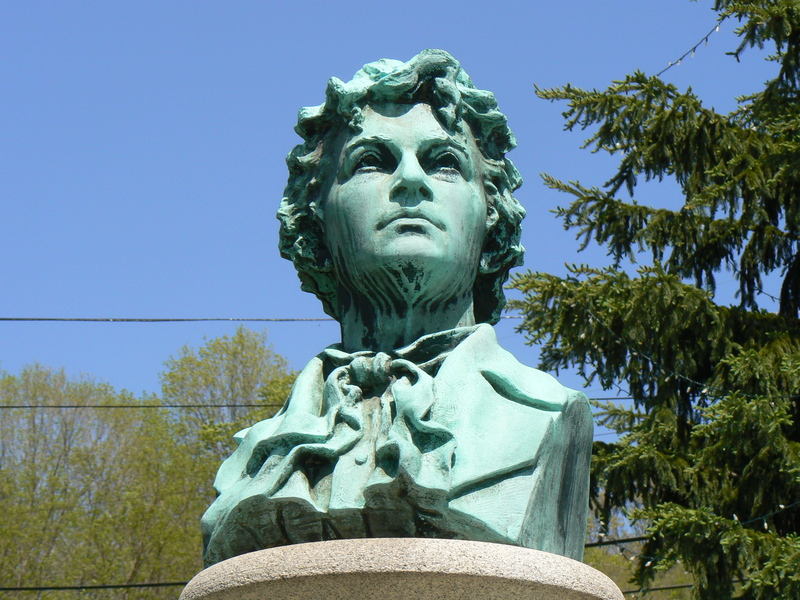 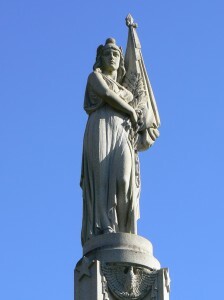 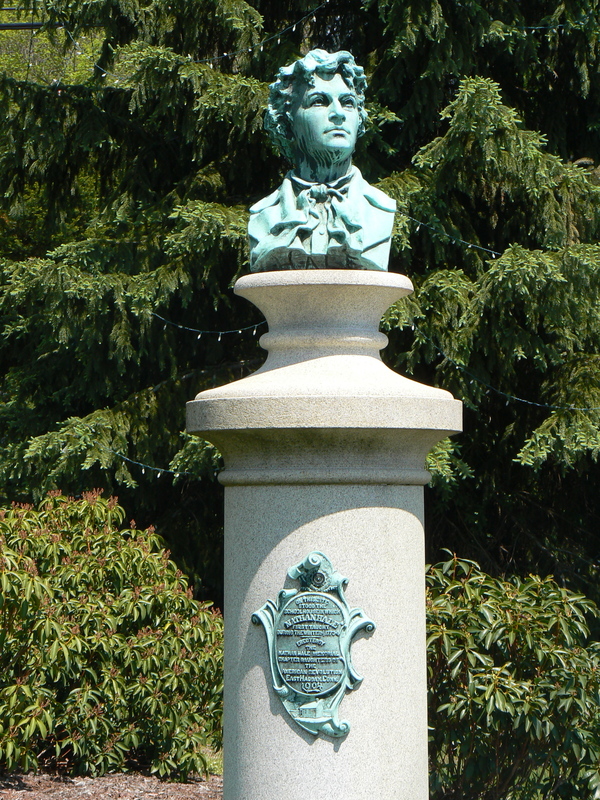 The monument was created by Charles Conrads, the principal sculptor for James Batterson’s New England Granite Works. 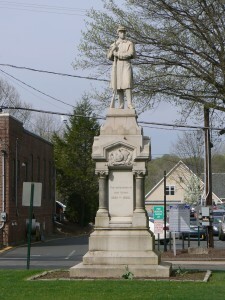 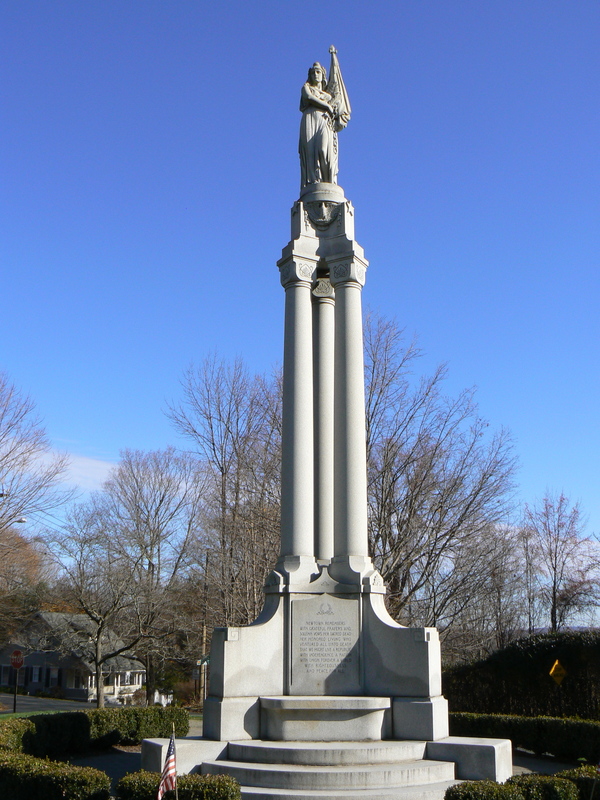 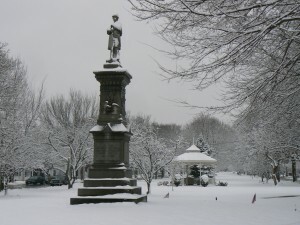 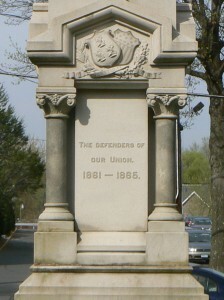 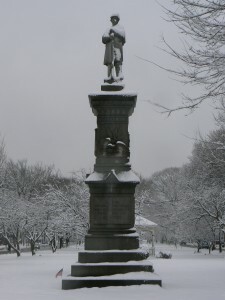 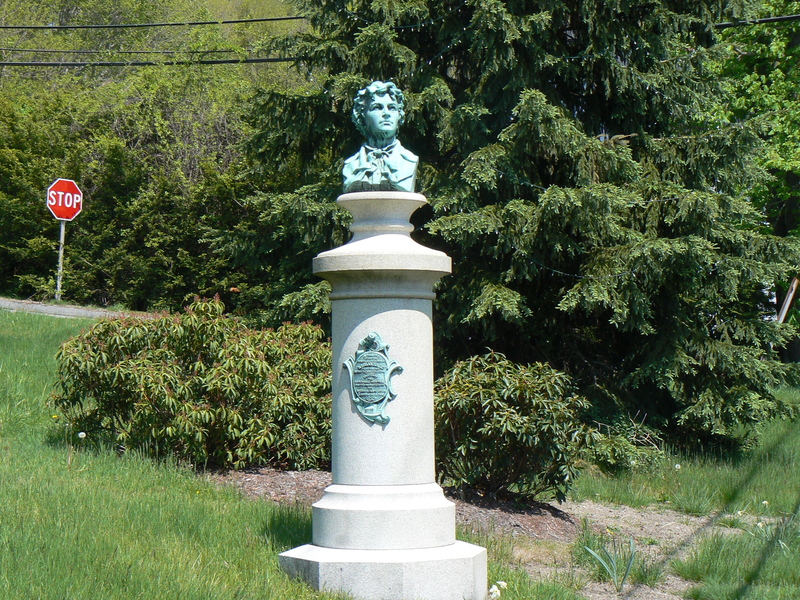 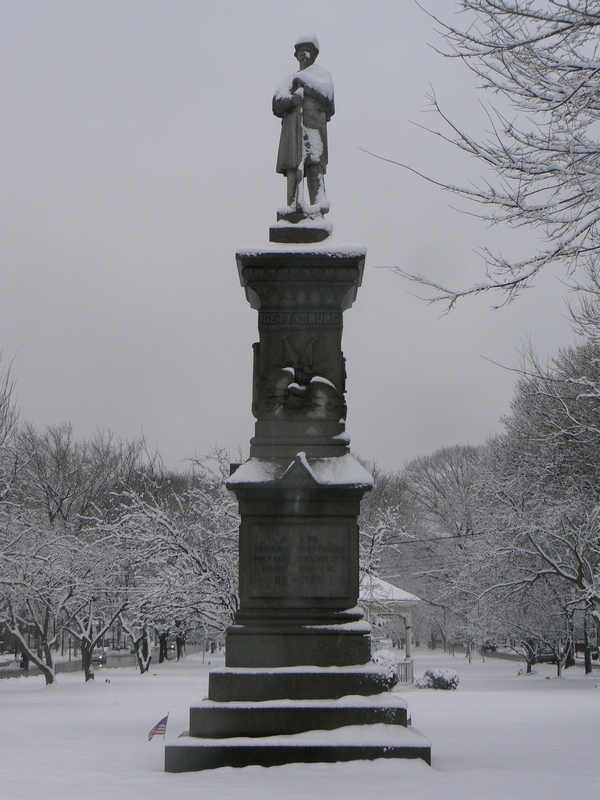 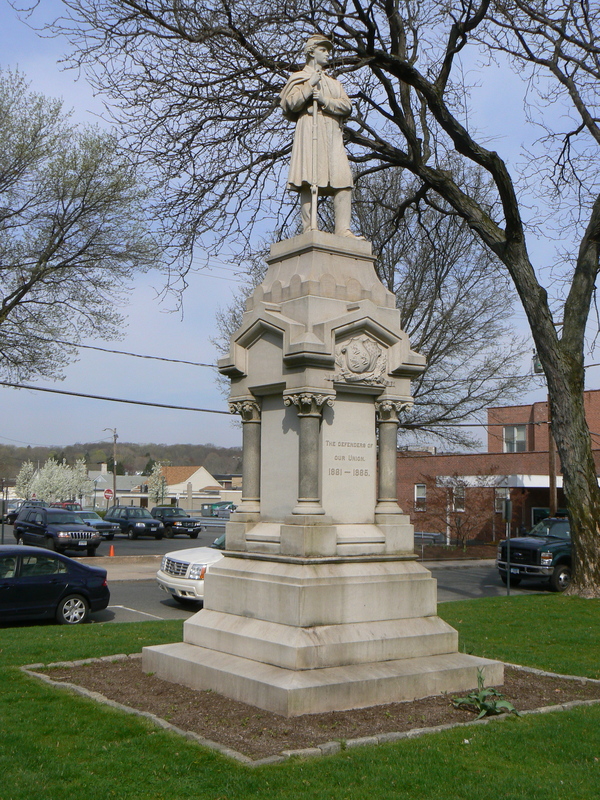 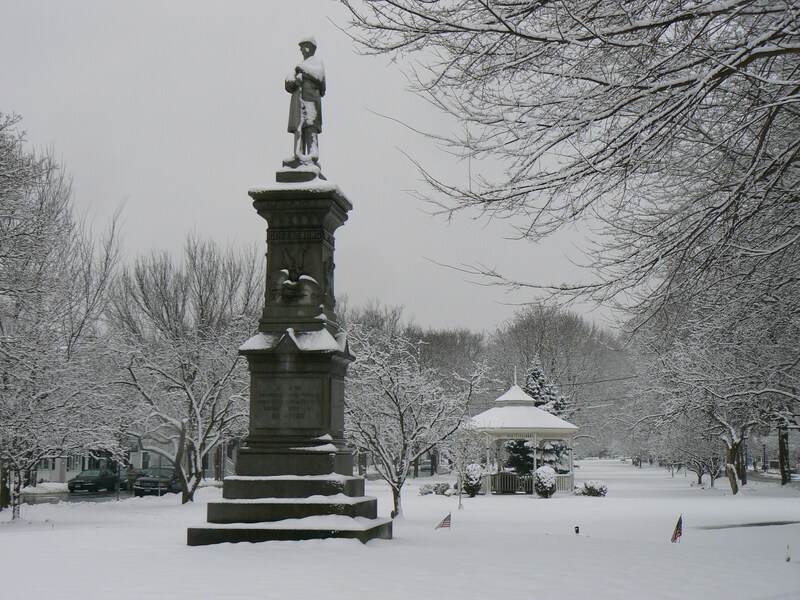 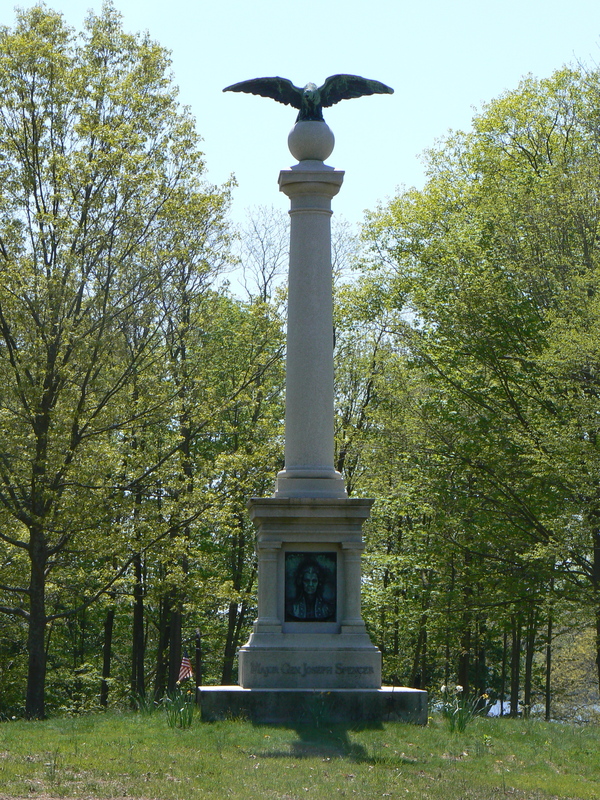 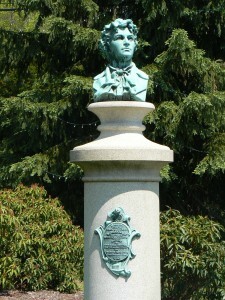 Batterson’s firm supplied many Civil War monuments in Connecticut. 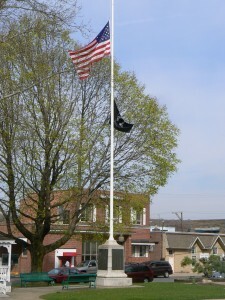 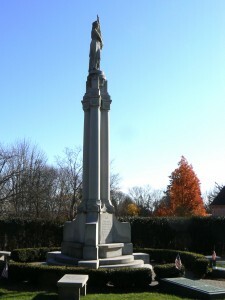 North of the green, which was laid out in 1876, a memorial flagpole dedicated after World War I honors veterans of that and the nation’s earlier wars. 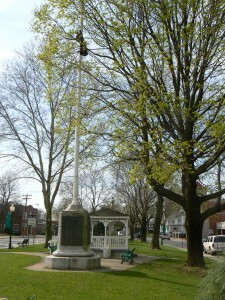 On the east and north faces of the flagpole’s base, bronze tablets list veterans of World War I (in four columns on each tablet). 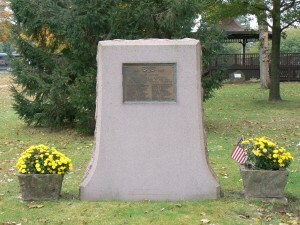 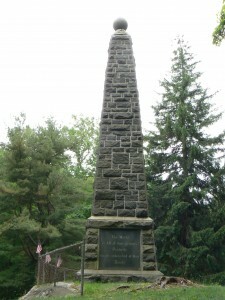 On the west side, a tablet has four columns listing Southington’s Civil War veterans. 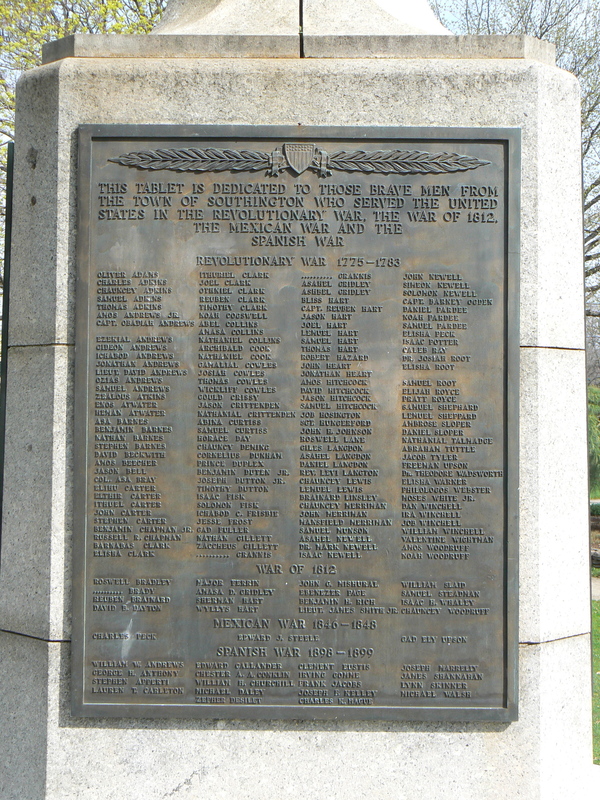 On the south side, veterans of the American Revolution, the War of 1812, the Mexican War, and the Spanish-American War are honored. 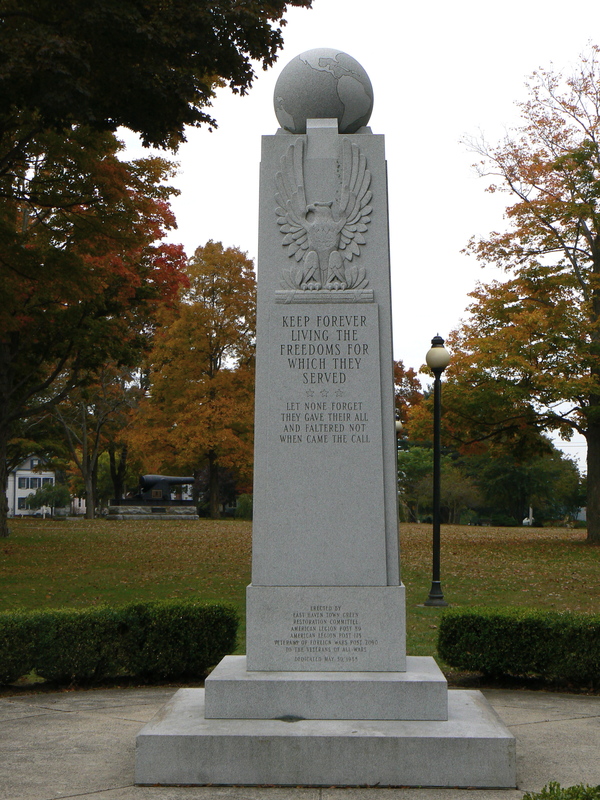 South of the Civil War monument, a collection of memorials honors veterans of World War II, Korea, Vietnam and the ongoing fight against terrorism. 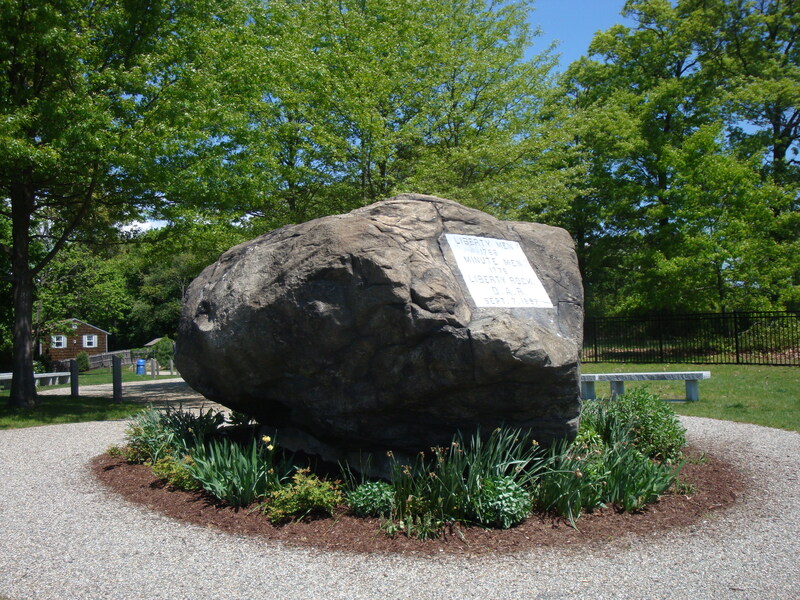 The central granite tablet bears a dedication inscribed below a carved eagle. 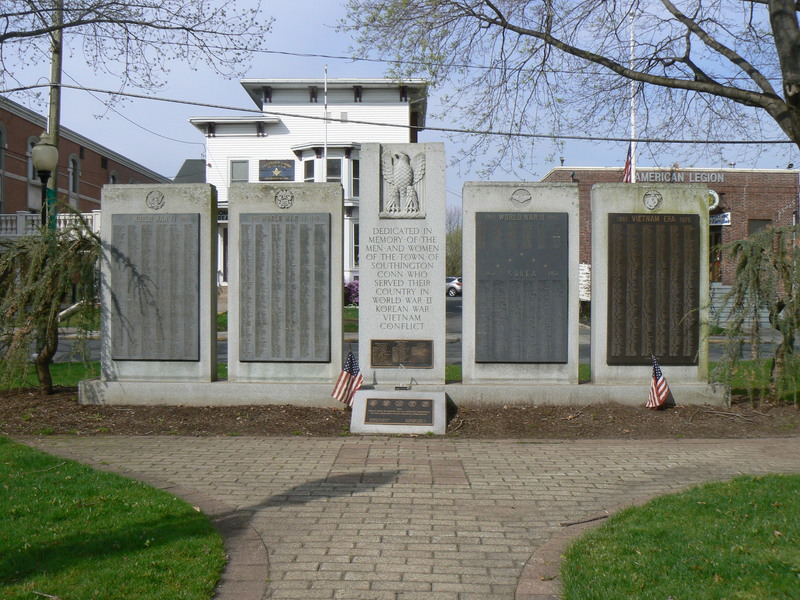 The left two memorials feature bronze tablets listing World War II veterans in 10 long columns of names, and honoring 33 residents who were killed in the conflict. 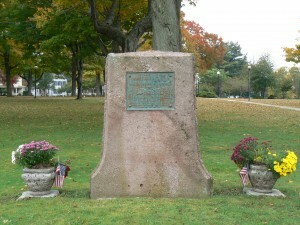 The two memorials on the right honor veterans of World War II, Korea and Vietnam. 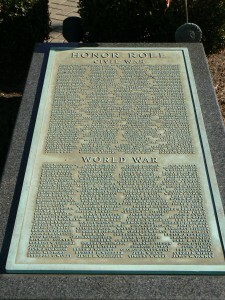 The Korean War memorial list veterans in six columns and honors one who was killed. 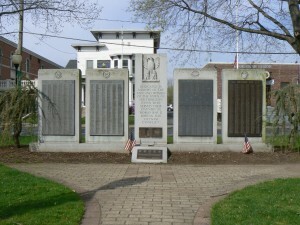 The Vietnam memorial also has six columns of names and honors 10 who were killed. 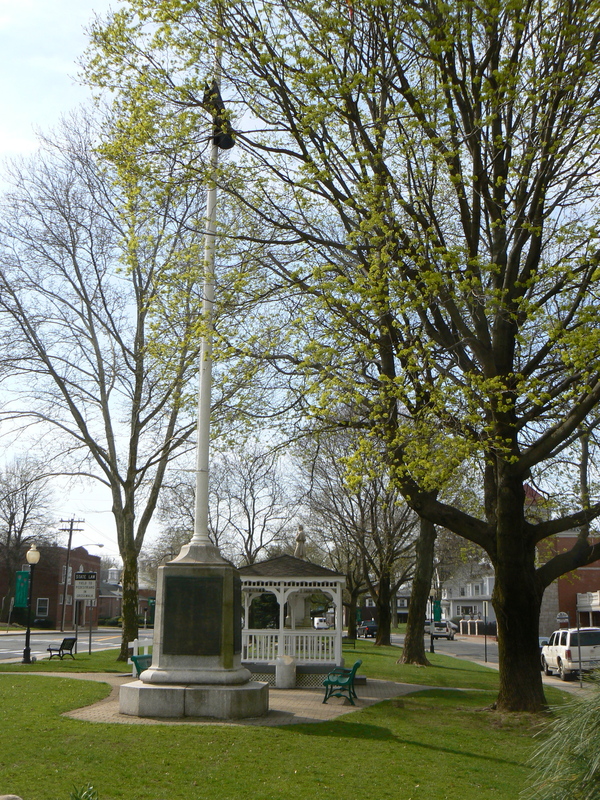 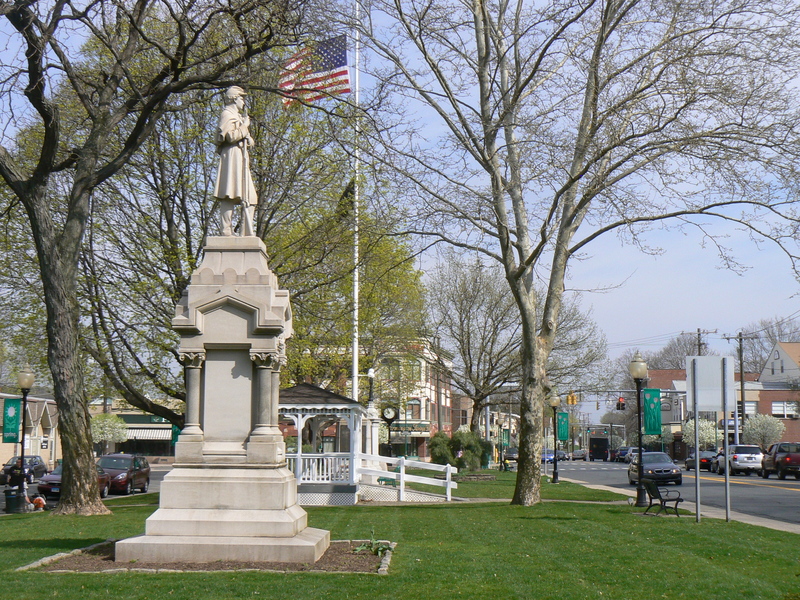 A large cannon honoring Civil War and American Revolution veterans is one of several war memorials on the East Haven green. 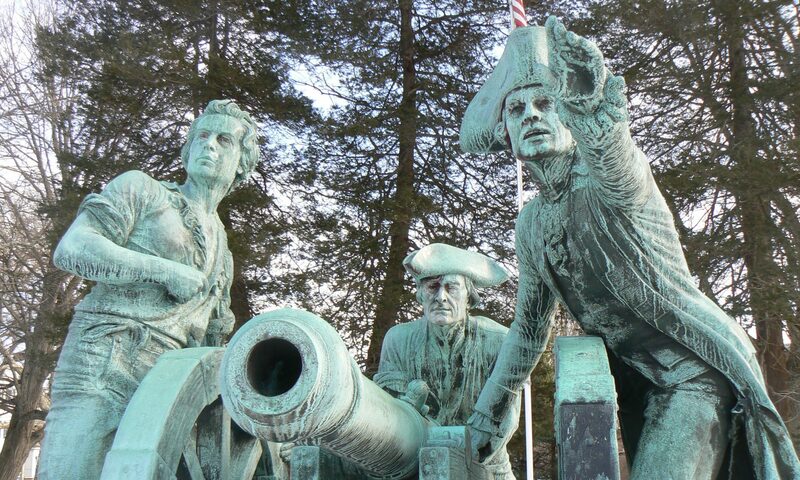 The western face of the cannon also features a plaque, dedicated in 2002, listing the names of 16 residents who died in the American Revolution. 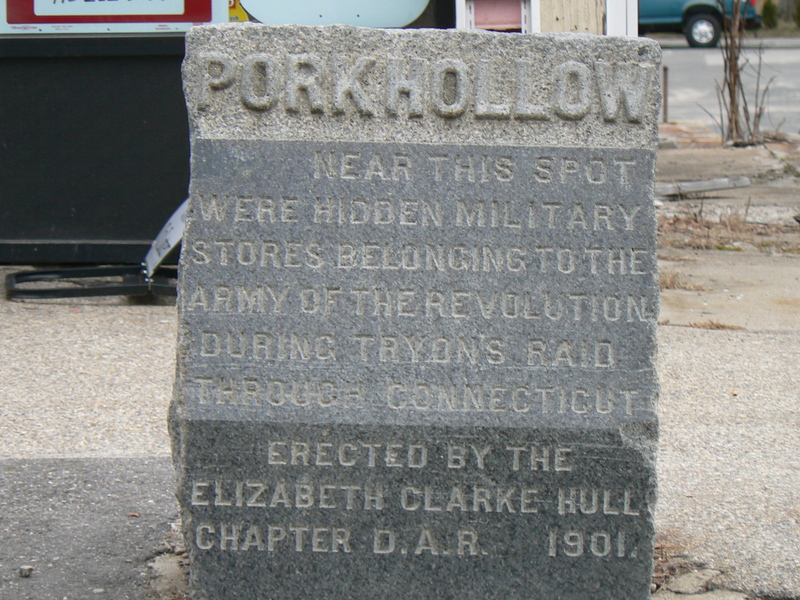 The eastern face has a similar plaque listing 15 men killed during the Civil War, including two who died in the Confederate prisoner of war camp in Andersonville, Georgia. 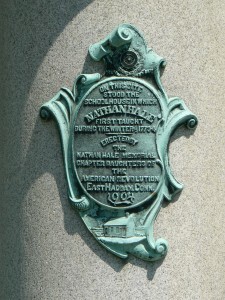 The cannon was one of three originally installed at Fort Nathan Hale in New Haven near the end of the Civil War. 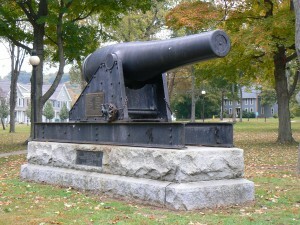 During the Spanish-American War, the cannons were moved to Lighthouse Point to help protect New Haven harbor. 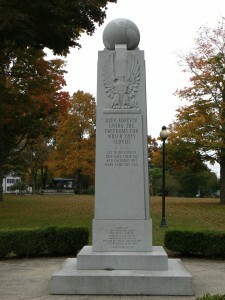 After the Spanish-American War, the cannons were donated to East Haven, North Haven and Milford for use as war memorials. 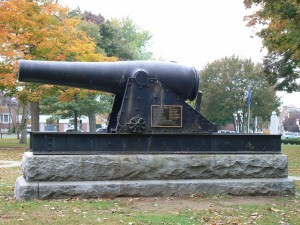 The East Haven and North Haven cannon survive, but the Milford Rodman Gun was donated to a World War II scrap metal drive. 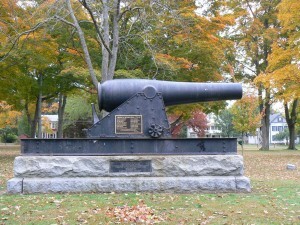 The cannon is one of several monuments on East Haven’s green. 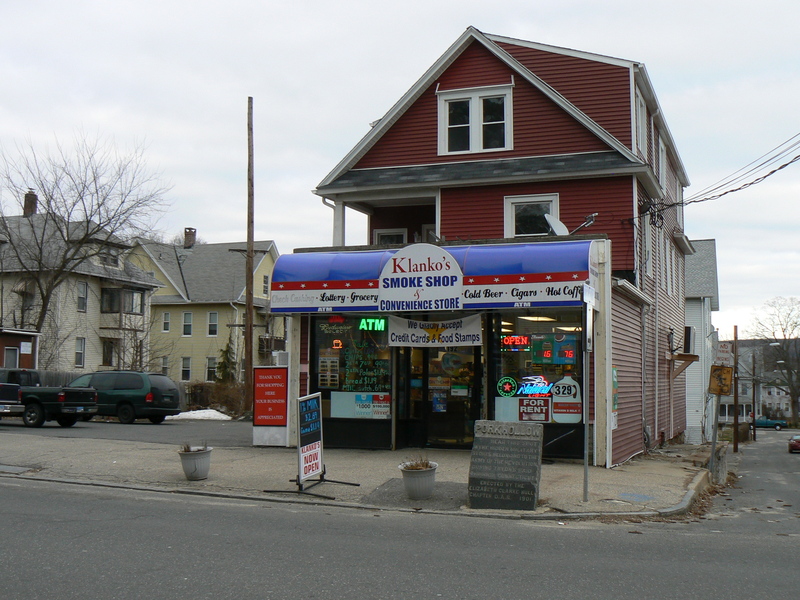 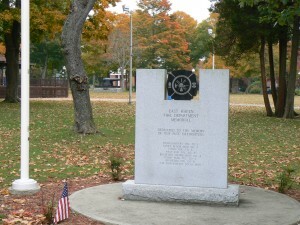 The northwest corner features a 1988 granite pillar, topped with a globe, that is dedicated to all of East Haven’s veterans. Heroes lost in the two World Wars are listed on plaques mounted on pinkish monuments. 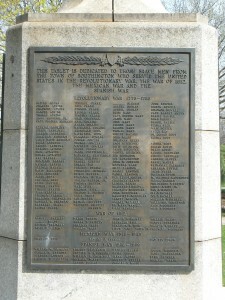 The World War I plaque lists five names, while the World War II plaque lists 24 names. 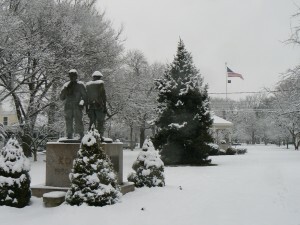 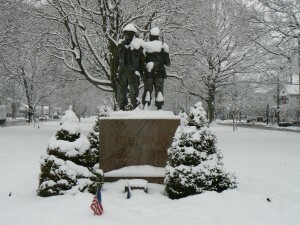 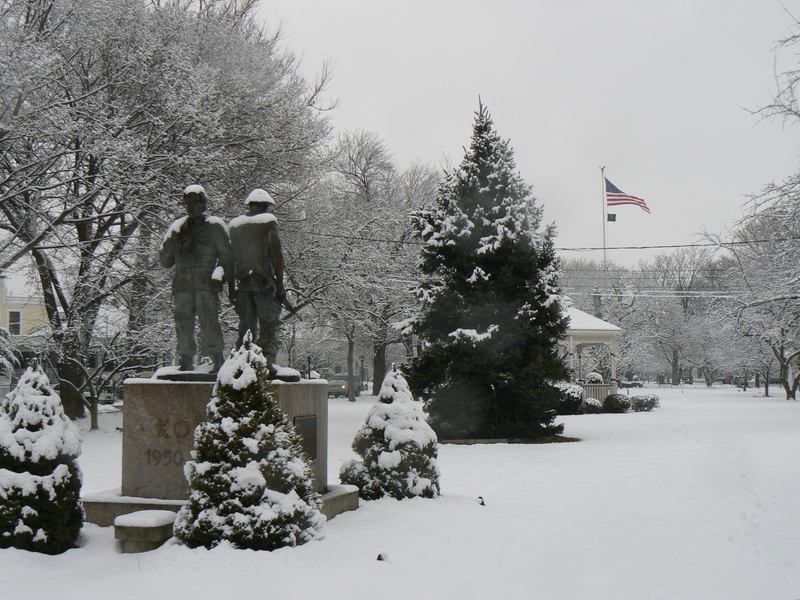 A monument in the southwest corner of the green honors the service of local firefighters.